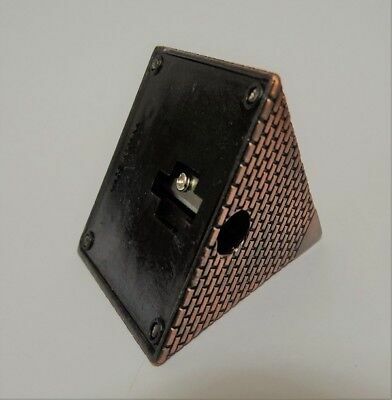 Bronze Pyramid Pencil Sharpener ancient Egyptian style. Seller: rectory-farm (502) 99%, Location: Worcestershire, Ships to: Worldwide, Item: 143218756465 Pyramids... the most enigmatic and puzzling remainder of the glory that was once ancient Egypt. Believed to be tombs of the pharaohs, they have also been said to have mysterious powers of sharpening blunted objects. This one certainly has! A cast metal pyramid with a bronze finish and a not-so-secret entrance for pencils in the side. It is approximately 50mm tall (2") *** FREE SHIPPING WORLDWIDE on extra items, when paid together.If you are bidding on other items, please wait for a combined invoice. *** For Clarity: This is a modern reproduction of an ancient item. 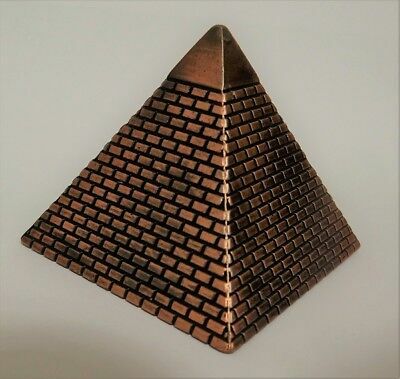 Bronze Pyramid Pencil Sharpener, ancient Egyptian style.